Gary worked for several years as a lecturer in engineering based practice in colleges in Wales and Scotland. After a number of years specialising in advanced vehicle technologies Gary became head of department for Automotive Engineering at Edinburgh College where he managed a large and diverse curriculum. 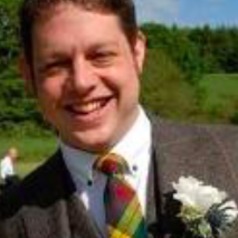 Prior to moving to the School of Education at the University of Stirling, Gary was the professional development manager at Edinburgh College where he was responsible for the delivery and development of lecturer initial teacher training courses and continuing professional development strategies and programmes. Gary now teaches on the MSc in Professional Education and Leadership at the University of Stirling in the Faculty of Social Sciences. Gary's research interests are centred on the development of professional learning and leadership across all sectors of education. Gary's previous work has looked at the impacts of initial teacher education on individual and organisational engagement with professional learning. The impacts of initial training and professional learning on organisational culture and leadership development in both compulsory and post compulsory education form the basis of Gary's ongoing work.